As we come closer to the beginning of teams’ training camps all throughout the NFL, analysts and reporters are starting to dive deeper into what we may see this season. The latest of these early analyses came from Tony Romo who made a Super Bowl 53 prediction of the Jacksonville Jaguars facing the Green Bay Packers. 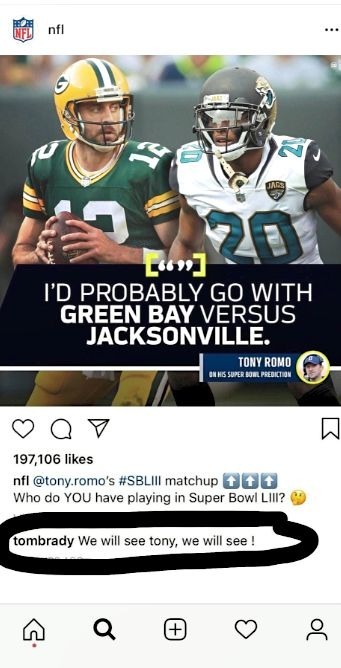 But when the NFL’s official Instagram posted Romo’s quote, “I’d probably go with Green Bay vs Jacksonville,” the response didn’t sit well with New England Patriots quarterback, Tom Brady. 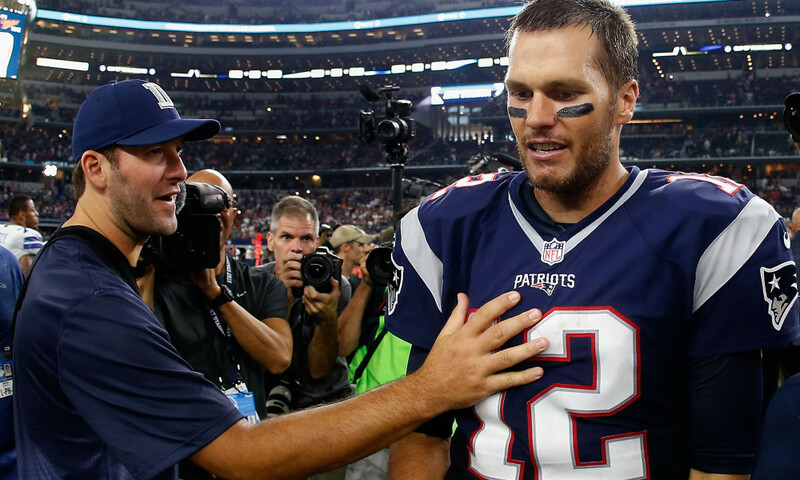 “We will see Tony, we will see!” commented TB12. 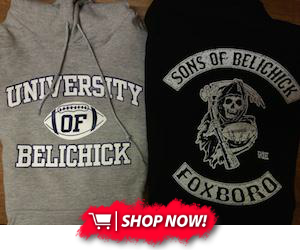 The Patriots’ training camp begins on July 26.